Our services here at Ricky Tyler Landscapes fall into two main categories: grounds and garden maintenance for both residential and commercial properties, and commercial landscaping projects. We now offer the full spectrum of those services for residents and businesses in the Amersham area of Buckinghamshire, and can guarantee the most professional, dedicated teams, whatever the job. 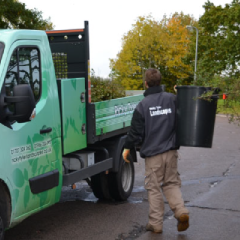 No matter the season, our grounds maintenance teams stand ready to keep your site in pristine condition, taking care of lawn care and turfing, removal of waste and leaves, hedge trimming, and even fence maintenance. We apply the same high standards to our work in residential gardens as we do at commercial properties, and quality service is the belief our business was founded on back in 2002. When installing on-site teams for commercial properties, we realise the importance of an efficient, well presented workforce that carries a positive on-site presence. For this reason, many of our commercial clients have been with us for a number of years. When working on commercial landscaping projects, we partner with your designer to ensure plans are carried out to specifications and are delivered on time. We see ourselves and our clients as partners, and are able to advise on any project issues. Our budget-friendly rates are another reason we have built up a loyal client base over the years. If you are a resident in Amersham, or surrounding towns such as Little Chalfont, Chorleywood or Coleshill, you can rest assured you can benefit from our garden maintenance expertise, and we are always happy to have a no-obligation, informal chat about your garden requirements and how we might help. 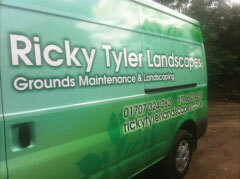 Ricky Tyler Landscapes can provide gardening and grounds maintenance services including Amersham Grounds Maintenance covering Amersham, Buckinghamshire .